In a significant move toward a possible future change to United Methodist Church’s doctrine and discipline, the Pacific Northwest Conference’s 2016 Annual Conference voted for non-conformity to the Book of Discipline’s mandates proscribing gay marriage, gay ministers, and the disbursement of funds toward gay causes. In effect, the measure declares that the PNW Conference will not participate in any judicial or disciplinary actions against those who violate these laws enumerated within the Book of Discipline. This represents a strong departure from doctrine. 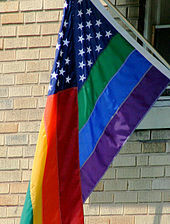 The subject of homosexuality has in the United Methodist Church traditionally brought decades of internal conflict within the Church from parishioners, clergy, bishops, and the various conferences; especially since the choices in the row have been polar in nature–either the status quo or to completely allow acceptance of homosexuality. The non-conformity action might finally offer a middle ground for the Church Community to move closer to that of society and of the secular laws. With all constituencies reporting, the Irish citizenry approved a constitutional amendment recognizing gay marriage: Yes 1,201,607; No 734,300. The Constitution of Ireland permits amendment only by popular vote. A vote of the people for such amendments can provide more legitimacy and acceptance by the public and judging by the margin gay marriage will probably gain acceptance more readily. Nevertheless it does not necessarily engender full acceptance of such partnerships as over seven hundred thousand voters chose otherwise. Some institutions in Irish society will struggle to come to terms with the new direction Ireland is pursuing. Mark Zmuda announced he is suing Eastside Catholic school and the Seattle Archdioceses for wrongful termination after he legally married his male partner. The case stems from his employment as vice-principal to the school was satisfactory for years and that after he announced he had married his male partner, he was given an ultimatum to divorce his spouse or his employment with the school would be terminated. Mark refused to divorce and was fired. Employment Attorney, Jeffrey Needle, stated the case is likely to go to the appellate courts and potential the state supreme court for its precedent setting nature. The church counters Mark’s claim, proffering its status as a religious organization which holds tenets that bar gay marriage. However, a recent state supreme court decision might prove difficult for the church to support that position.